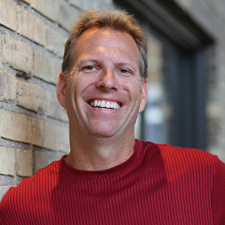 A shift is taking place in the home building and remodeling industry. Green home renovations, long thought of as too expensive or complex, are more affordable and achievable than ever. At the same time, homeowners are increasingly concerned with their impact on the environment. That’s why words like energy-efficient, sustainable and recyclable are becoming central to the homebuilding process. On top of that, increasing labor and material costs have a new generation of homebuyers rethinking the entire building and renovation process. So how do you make a green home happen? Well, we spoke to the experts to find out. Before digging into any major green home renovations, it’s important to know how your home is performing currently. Window and door leaks, outdated appliances and inefficient HVAC systems don’t exactly equate to an efficient, eco-friendly home. Knowing the root of the problem is the first step in completing a green remodel. Many homeowners end up shocked at how much energy (and money) their home is wasting. Trained professionals can show you exactly where your house is leaking energy or air and provide solutions for problem spots. To find a certified energy rater for a home energy audit, the U.S. Department of Energy recommends using the Residential Energy Service Network directory. You can also do a DIY energy audit on your own. Check doors and windows for drafts. Inspect HVAC and ventilation systems. Use an electricity monitor to find out how much energy your appliances are using. Replace older lightbulbs with CFLs, LEDs or eco-incandescent bulbs. Examine your home’s insulation, in both the attic and walls. Drafty windows are the bane of eco-friendly homes. If yours are taking a toll on your heating and air usage, it may be time to upgrade to more modern, energy-efficient windows. 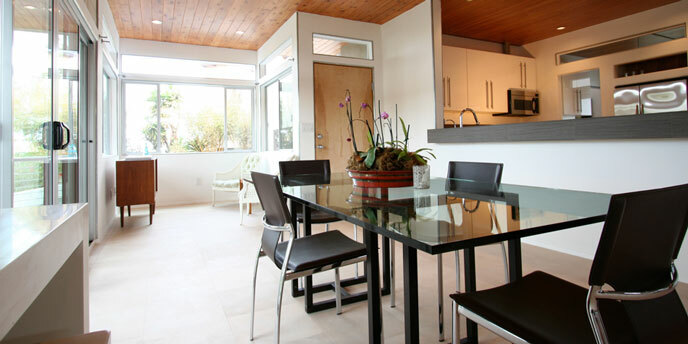 Using materials that are sustainably sourced is also important for a successful green home remodeling job. For instance, cellular PVC is a popular, energy-efficient window material, but it is produced using a process that releases toxins into the earth’s atmosphere. 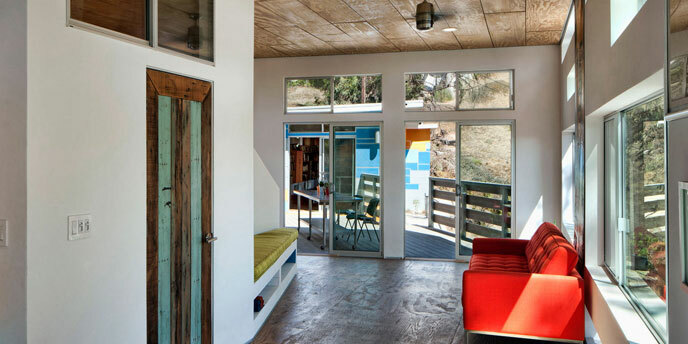 Here are a few green remodeling tips for purchasing responsibly produced windows. Aluminum and steel are recyclable but offer little insulation, making them inefficient. Vinyl, like PVC, is made using a toxic, highly inefficient production process. Double and triple-pane glass cost more, but will insulate your home better. Sustainably-harvested wooden frames are a good choice for eco-friendly windows. Fiberglass window frames are made from sand, a virtually limitless resource. Choosing an eco-friendly product is great, but if it has to be shipped across the country, it’s hard to say it’s truly green. Buying locally sourced materials requires far less energy to get the products to your door. Additionally, local professionals are a valuable resource, as their knowledge of nearby communities, the types of homes in the area and even the local climate can be very useful to you and your project. Beyond supporting small businesses, going local also enables you to choose climate-appropriate materials, making your home more energy-efficient overall. 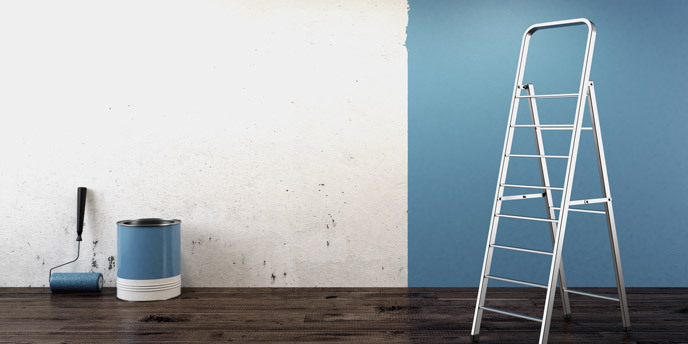 Volatile organic compounds, or “VOCs,” are chemicals that evaporate and enter the air at ordinary room temperatures, and they are common in many paints. The VOCs in interior paint come from petroleum-based solvents used in their production. Low VOC interior paints use water in place of these solvents. Using no or low VOC interior paints lowers the amount of harmful emissions in your home, while also minimizing your consumption of petroleum, a non-renewable resource, making this a great project to add to your list of eco-friendly home improvements. VOCs are volatile organic compounds, which are commonly found in interior and exterior house paints. Wall cavities – the insulated spaces between an inner and outer wall of your home – are often overlooked during green home remodeling projects. However, they can make or break your home’s efficiency. 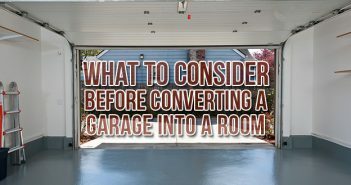 Luckily, there are green solutions that are both inexpensive and effective. Blowing cellulose is a quick fix since it can often be blown over insulation that’s already there. On top of that, many states offer rebate programs for completing this eco-friendly renovation project. 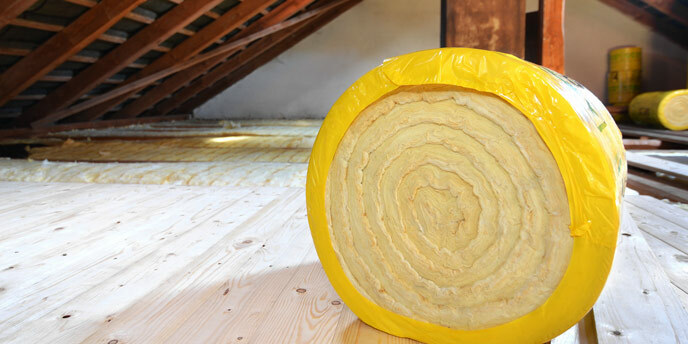 Here’s a thorough guide on picking insulation for your home. Proper insulation is key to making a home more energy efficient. Going solar is a great green remodeling project, but you can harness the power of the sun without dropping your entire budget on new solar panels. Passive solar home design is the art of using the sun to your advantage, allowing it to warm your home in the winter while blocking it out in the summer. You’ll be surprised at what a difference some simple changes can make. Focus renovations on the sides of your home that receive the most sun. Plant seasonal trees that block sunlight in the summer, but allow it in during the winter. Choose smart blinds that open and close with light and temperature changes. Install a solar chimney to improve your home’s heating and ventilation. Apply heat reducing film to your windows. Add eave overhangs or awnings to block direct sunlight from reaching your windows. And if you’re ever looking for that final push from passive solar to the real thing, remember that “panels will start paying YOU money in under 10 years,” according to Roskowinski. ENERGY STAR provides a great list of resources for checking how much money and energy appliances with their certification can save you. You can also take advantage of rebate programs to get additional dollars back. 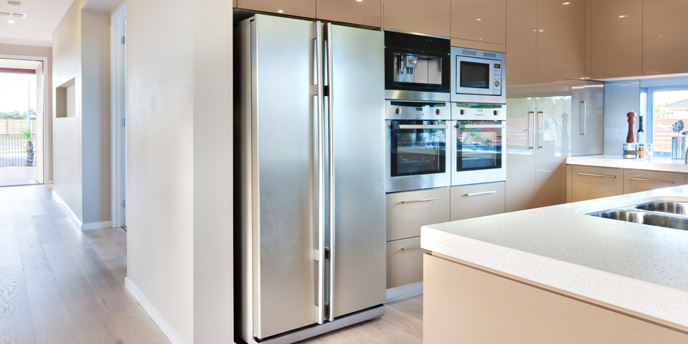 Replacing old appliances with new, green home appliances can greatly reduce your energy usage. If you hate the idea of using lamps in the middle of the day, try adding skylights to light your home naturally. 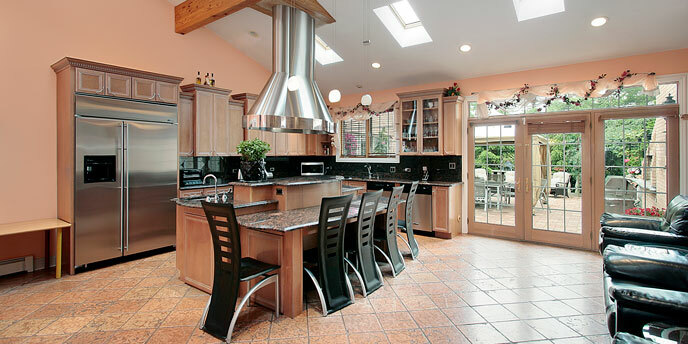 While it might not be cost-effective to install them in every room, you can strategically place skylights in the most commonly used areas during the day, such as the kitchen, living room or guest bathroom. Remember to fit your skylights with automated blinds to block the sun when needed. Used correctly, skylights can be a great eco-friendly remodeling project for your home and help cut down on your overall electricity use. Skylights can help increase the amount of natural light in your home, reducing the need to use lamps. Additionally, Home Depot makes an effort to stock FSC Certified products – call your local store to see what options they have available. For a full list of FSC Certified Wood providers, check the Forest Stewardship Council’s Member List. 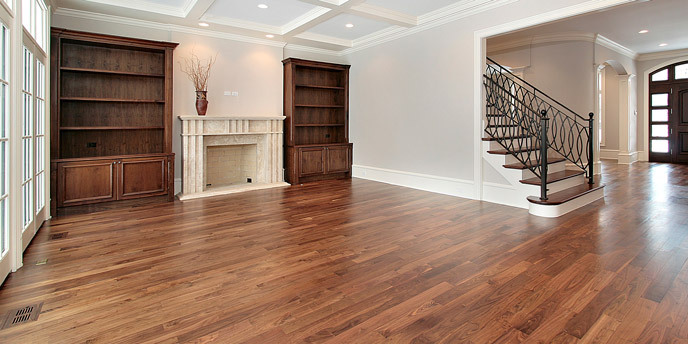 Using responsibly sourced hardwood products is a great way to beautify your home in a sustainable way. 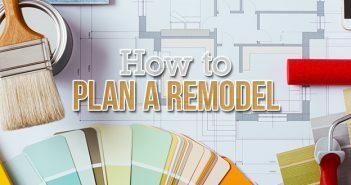 Looking for more green remodeling tips and resources? Want to learn more about the basics of green building or eco-friendly flooring options? 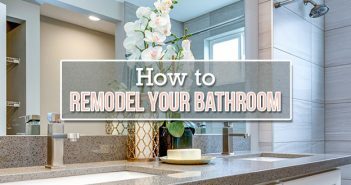 Do you have a green remodeling tip you’d like to share? Drop a comment below and we’ll be sure to share it with our readers.